Hendrix Heating & Air Conditioning, Inc. is proud to serve the Greer community! Please call us today at 864-877-1938 to consult with our home comfort specialist. 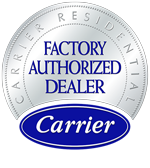 About Greer, SC - Happy to be your hometown Heating & Air Conditioning Contractor! Greer is a quickly growing city in Greenville and Spartanburg counties in northern South Carolina. The city is a suburb of Greenville, located 12 miles north of downtown Greenville. According to a 2017 United States Census Bureau, Greer is populated by approximately 30,899 people. Greer is and the second largest city in Greenville and Spartanburg counties. Individuals who visit Greer will discover a city founded in the late 1800s. Modern-day Greer features beautiful neighborhoods, community parks, locally owned businesses, and community facilities and amenities like lodging facilities, the Greer Heritage Museum, and the Davenport House. Also, Greer is nearby downtown Greenville which features many recreational opporunities for residents of Greer. In Greer, South Carolina, individuals enjoy an excellent quality of life. Professional HVAC technicians recommend residents of Greer have access to cooling and heating systems installed inside their homes. Greer is in a region of the United States that experiences warm summer seasons and very cool winter seasons. Central air conditioning units and furnaces are sufficient to cool and heat homes in Greer. During June, July, and August the average daytime temperature highs range from the mid to upper-80s. Temperatures will rise to mid-90s and above when heat waves pass through Greer. When properly installed and well maintained, central air conditioning units keep residents cool and comfortable inside their homes. Residents of the City of Greer should also have access to heating units inside their places of living. Greer is not immune to cold snaps during the winter seasons. The average daytime temperature highs range from the low to mid-50s during December, January, and February and will drop below freezing at night. Furnaces provide sufficient heating power to Greer homes. During the winter months, furnaces protect residents and their homes from potential damages caused by harsh winter weather conditions.